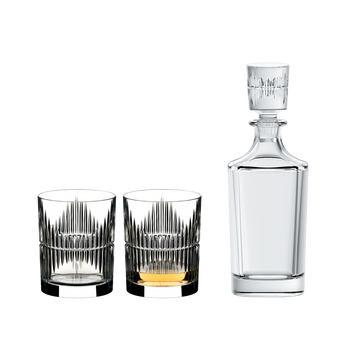 This set contains 4 pieces Optical Gin tumbler. ‘Optical O’ is based on the popular ‘O’ series of stemless wine glasses and was designed by Maximilian J. Riedel. The design of the glasses makes them less susceptible to glass breakage and easy to put into the dishwasher. This set is perfect for cocktails, mixed drinks and soft drinks alike. Ideal to give as gift or to enjoy yourself. All RIEDEL glasses are dishwasher safe.